Play Big!® The game to raise smart and curious kids. Play Big!® is a fun and fact-filled card game, designed to help raise smart, curious and tech savvy kids. A challenging and addictive card game that makes kids fall in love with knowledge. 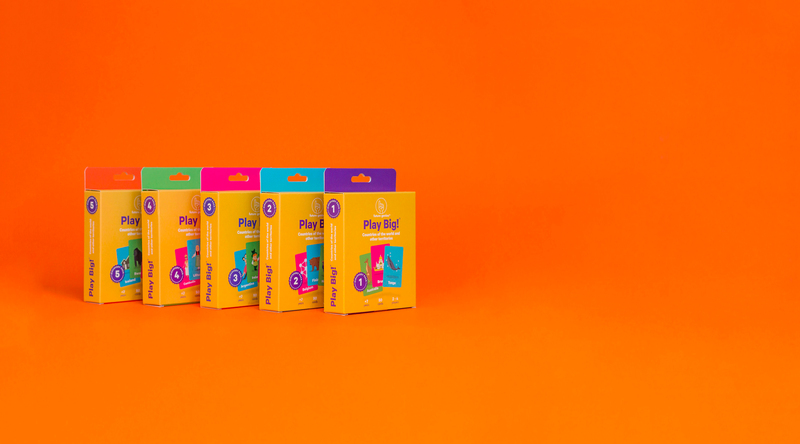 Collect different packs from the Play Big!® collections and mix them together, learn by playing and prove your knowledge while having fun with friends and family. Explore exclusive and interactive content with the Play Big!® app. The soul of future genius® and its founders is of clear and manifest social commitment. That’s why the company is born with a clear and transparent vocation and philanthropic policy. That is, for each game you purchase, we will make a donation to an educational center or institution with special needs. WE PLAY BIG!, WE DREAM BIG!